NEW YORK, April 16, 2019 (GLOBE NEWSWIRE) -- Greystone, a leading commercial real estate lending, investment, and advisory company, announced it has provided a $24 million Fannie Mae loan to refinance an assisted living facility in New Jersey. The transaction was originated by DJ Elefant in Greystone’s New York office, on behalf of Sage Healthcare Partners. Neal Raburn and team out of Greystone’s Atlanta office provided support in structuring, underwriting and closing the transaction. The $23,995,000 Fannie Mae loan carries a 10-year term and 30-year amortization with a two-year interest-only period. The 138-unit assisted living and memory care community offers on-site care as well as a full suite of luxury amenities for long-term residential stays. Greystone originally provided a bridge loan to the borrower to acquire the facility in 2017 and make significant investments to increase its overall value. The permanent loan enables the borrower to refinance out of the bridge loan and continue with its ongoing facility improvements. 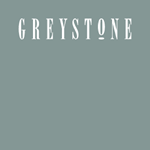 Greystone is a real estate lending, investment, and advisory company with an established reputation as a leader in multifamily and healthcare finance, having ranked as a top FHA, Fannie Mae, and Freddie Mac lender in these sectors. Our range of services includes commercial lending across a variety of platforms such as Fannie Mae, Freddie Mac, CMBS, FHA, USDA, bridge and proprietary loan products. Loans are offered through Greystone Servicing Company LLC, Greystone Funding Company LLC and/or other Greystone affiliates. For more information, visit www.greyco.com.